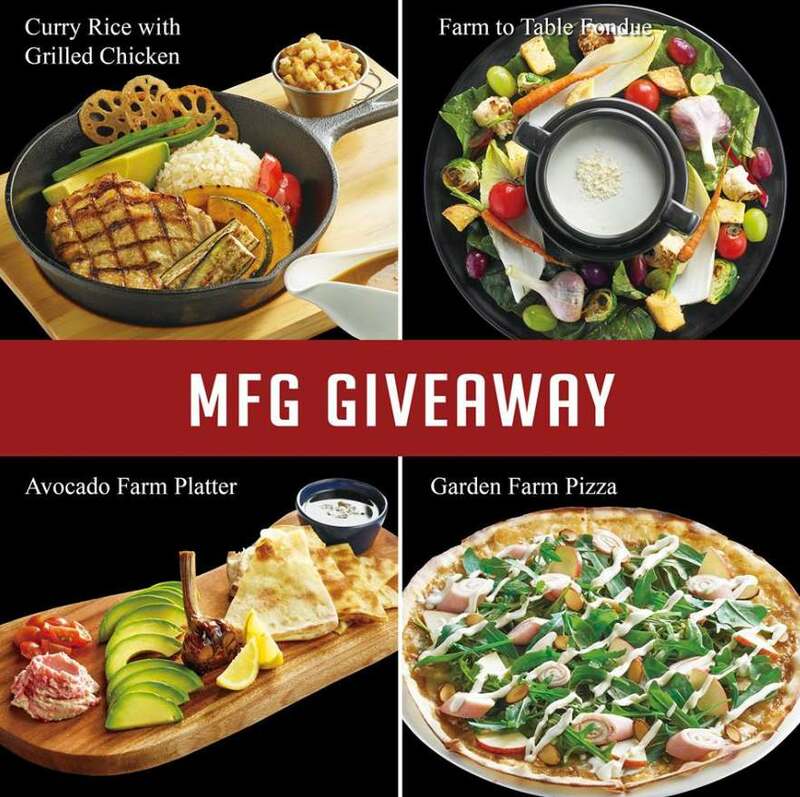 [Giveaway] Inspired by the freshness of the farm produce, the new menu items from Mad for Garlic’s Farmer’s Table promotion are prepared using only fresh and quality ingredients to serve you a meal that is simply delectable! As a fan of Mad for Garlic, we’re giving any of these delicious items to four lucky winners. 4. Name of the dish you like to try. Contest ends on 23 July at 2359 hours. We will randomly pick the 4 winners on 24 July. Each winner will get to enjoy the dish they mention. Mad for Garlic’s decision on the selection of the winners shall be final, and no correspondence will be entertained. Find out more at Mad for Garlic.